If medications, physical therapy, exercise, a weight-loss program or even arthroscopic surgical repair haven’t worked on your damaged or arthritic hip or knee, you could be a candidate for a total joint replacement. At Hartford HealthCare’s Bone & Joint Institute, New England’s first orthopedic specialty hospital, our team of orthopedic surgeons and associated medical specialists work together to diagnose, treat and rehab your problematic joint – all in the same building close to downtown Hartford. 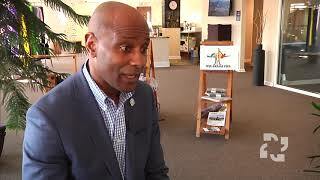 Osteoarthritis is a primary reason for most knee and hip replacements. It affects more than 30 million people, making it the most common chronic joint condition in the United States. The pain and stiffness of osteoarthritis at a joint – the junction where two bones meet – are caused by the breakdown of protective tissue (cartilage) that leaves the bones in the knee, hip, wrist or shoulder rubbing together. Osteoarthritis is a wear-and-tear condition, often a byproduct of aging, that make it difficult to walk, climb stairs or rise from a chair. Depending on the damage to the joint, reconstruction can be a relatively simple arthroscopic repair or a total joint replacement that removes the arthritic joint and inserts a prothesis made of metal, plastic or ceramic. Knee and hip replacements are the most common joint replacement procedures. 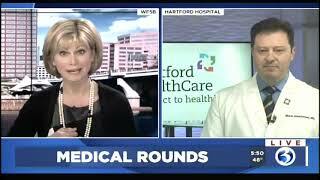 Our doctors also perform replacement surgery on the shoulder, ankle and wrist. During a joint replacement, damaged bone and cartilage is removed. The end of the bone is resurfaced with metal alloys and often cemented to the healthy remaining bone. Most people have much less pain after knee replacement surgery. Beyond resuming your daily activities, you should also expect to swim, bike, golf or dance without pain. Although the knee may not bend as well as a healthy knee, the goal is to return your level of activity to normal and without pain. What Are Signs That I Might Need Joint Reconstruction? Constant pain in your knee. Knee pain that keeps you awake at night. Inability to exercise (whether biking, walking or running) because of knee pain. Post-traumatic arthritis, following a major injury. Our program has earned the prestigious Gold Seal of Approval™ by demonstrating compliance with The Joint Commission’s national standards for health care quality and safety in disease-specific care. This certification award recognizes our dedication to continuous compliance with state-of-the-art standards of quality care of both patients and families as well as safety measures including infection prevention and control, leadership and medication management. 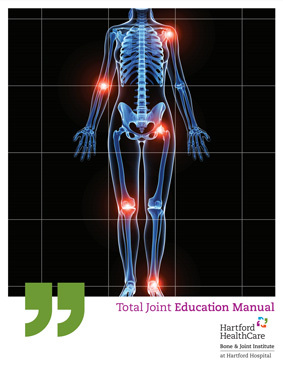 From preparation to rehab: Download our Total Joint Education Manual for detailed information on joint replacement surgery. 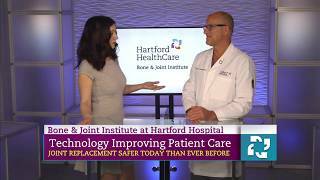 Have questions about Joint Replacement Surgery? We've got answers for you. 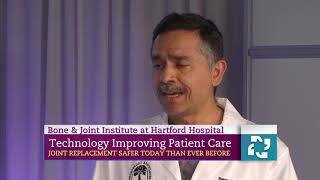 Joint replacement safer than ever before thanks to revolutionary robotic surgery performed at the Hartford HealthCare Bone & Joint Institute.